Imagination Factory is a place where kids learn about Jesus by investigating His names. Inside the factory, there are four different “rooms” where kids will use their imagination as they learn: The Lab, The Gallery, Building Zone and The Junkyard. 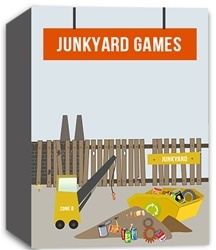 This unit takes place in the Junkyard. 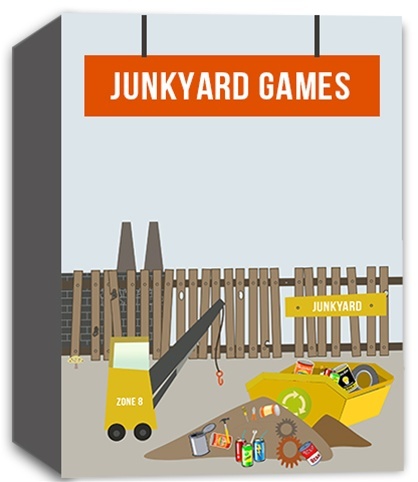 Junkyard Games is a place where kids will use their imagination to create and play fun games. Through the playing of the games and other activities involving the junk item of the day, kids will be introduced to and captivated by Jesus’ names and come to understand not only each name’s mean- ing but also how it applies to their own lives. By learning about the details surrounding the name, kids will have a deeper understanding of who Jesus is, what He came to do and the relationship He offers them.